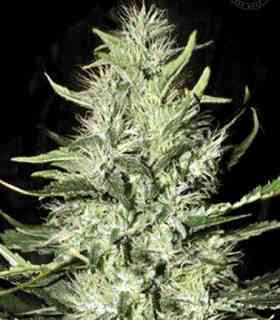 American genetics at their best and made available in feminized seed form by Original Sensible Seeds. Zkittlez was created by crossing an outstanding Afghan Kush with the Grape Ape x Grapefruit hybrid. Zkittlez is an Indica dominant hybrid with a potent, well balanced relaxing and cerebral effect full of sugary candy flavour, there´s no better way to wind up your day than with this inspiring sugar coated starburst delight, Zkittlez weed takes relaxation to a whole new level wiping out pain, stress, insomnia and depression. Zkittlez feminised cannabis seeds require between 60 and 65 days of flowering and are well suited to Scrog set ups. The yield is medium to high averaging around 600g/m2 indoors and 700g per plant when grown outdoors. Zkittlez will show off an array of plump green buds with a hint of purple that glisten with the most amazing resin production and an aroma like a fine aged wine of deep berry and grape. The taste and aroma of Zkittlez marijuana is as the name suggests; Tropical juicy fruit, with a blend of sweet and sour. Just like the colourful confectionery of this strains namesake, after a few puffs of Original Sensible Seeds Zkittlez you'll be tasting the rainbow and might even be somewhere over it too!